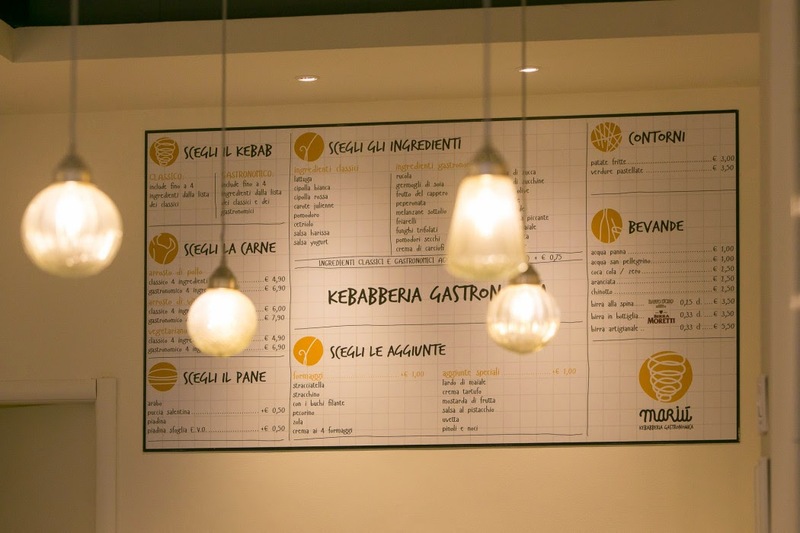 Finalmente a Milano un Kebab - di cui sono golosissima! - anche per noi "diversamente giovani"
Non più costrette ad appollaiarci su uno scomodo sgabello e con il condimento che scende inesorabile fino ai gomiti, ma seduti comodamente al tavolo!!! 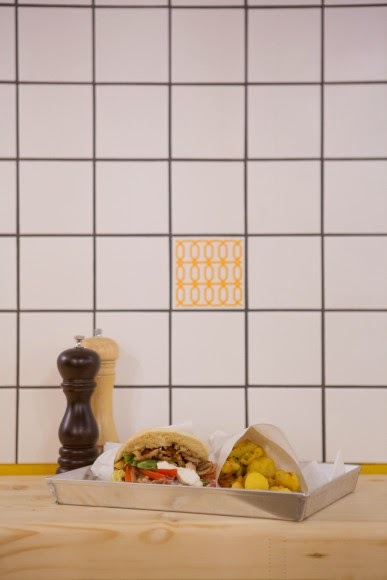 Good news coming from Milan : we can finally eat Kebab -that I'm crazy for, - comfortably seated at a table without sitting on an uneasy stool while kebab dressing drops on your elbows ! La formula è costruisci il tuo kebab e, pigrizia a parte (mi piace trovare le cose belle e pronte!! ), è una bella opportunità, perlomeno posso limitare la cipolla!!! E poi puoi scegliere il tipo di pane, di carne, di verdure e aggiungere tutti gli ingredienti che vuoi. 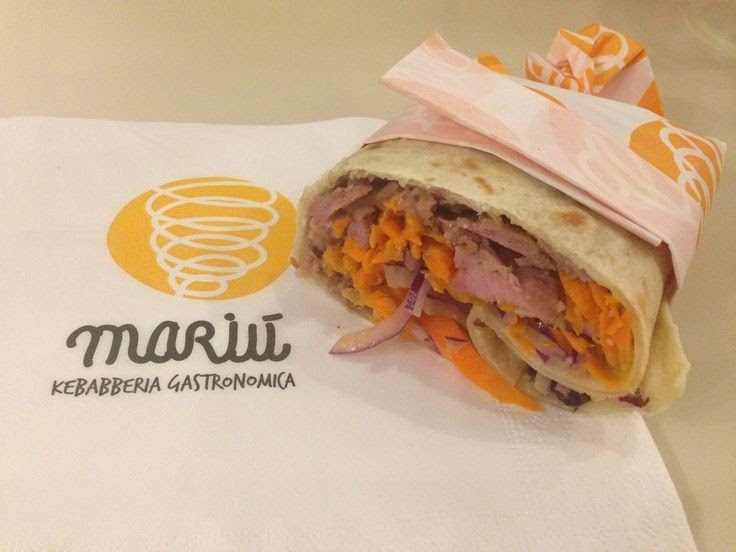 Certo, si può anche scegliere il kebab normale ma è stuzzicante comporre la propria ricetta! 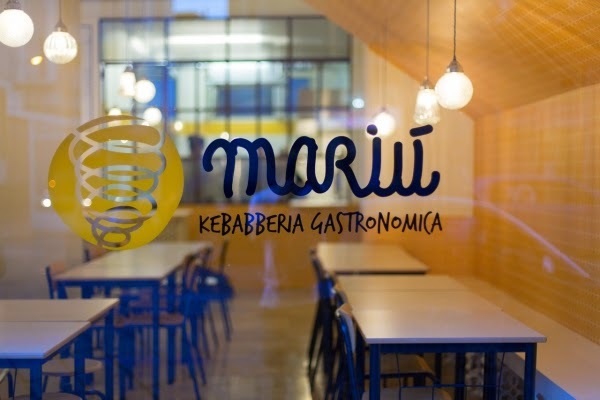 Mariù Kebabberia Gastronomica is the right place. 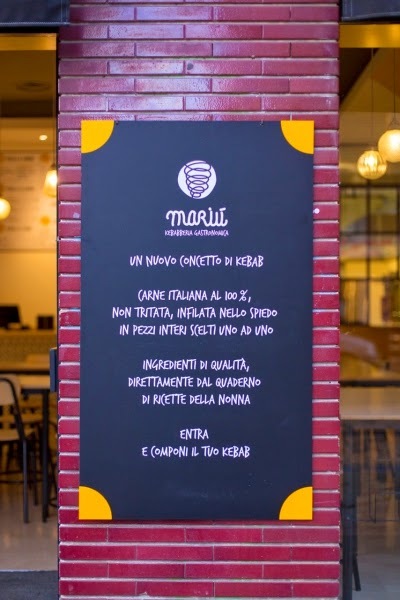 In viale Sabotino you can taste Italian style kebab, typical Middle East food : as a matter of fact, meat, vegetables and spices come from Italy. The new idea is that you can create your own dish, - even if I love to find everything ready to eat - , and for instance, I will have the chance to lower the onion flavor !!! And then you can choose what kind of bread, meat, or vegetables you prefer and add all the ingredients you want. You can have normal kebab but it's very appetizing to realize your own recipe ! You can see inside the kitchen through a glass wall . When you order you receive a kind of disc that vibrates and rings when your sandwich is ready - a brilliant idea ! !